Big news today, that really wasn't a big surprise because the question wasn't if PC Plus and Shoppers Optimum it was when. 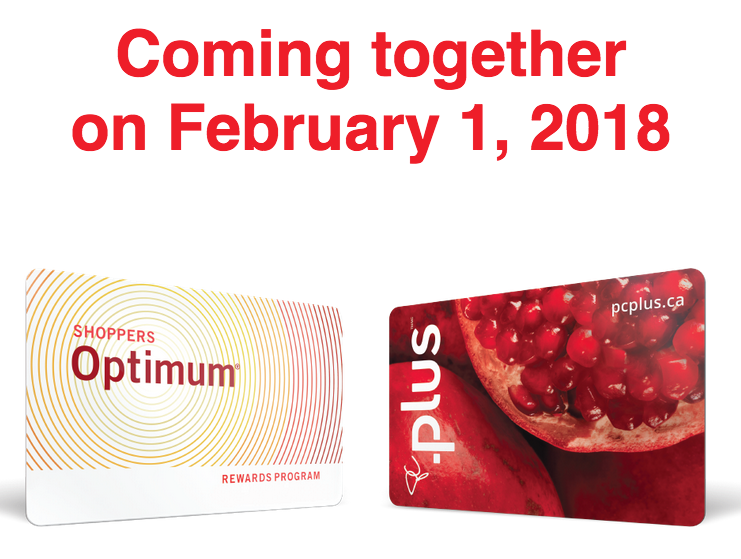 We all know Loblaw bought Shoppers a few years and then the RBC Shoppers Optimum Card was discontinued in the Summer of 2016 so everything was pointing to an eventual merger. Now we know that it is going to happen, news came out today that Loblaw will merge the programs to become PC Optimum on February 1, 2018. In Quebec, the Pharmaprix Optimum program will come to an end on January 31, 2018 and members will have until May 2 to redeem their points. In general the changes of the merged program aren't that huge outside of now being able to earn at more locations for members of either program. So how does the new program fair when compared to the two separately? 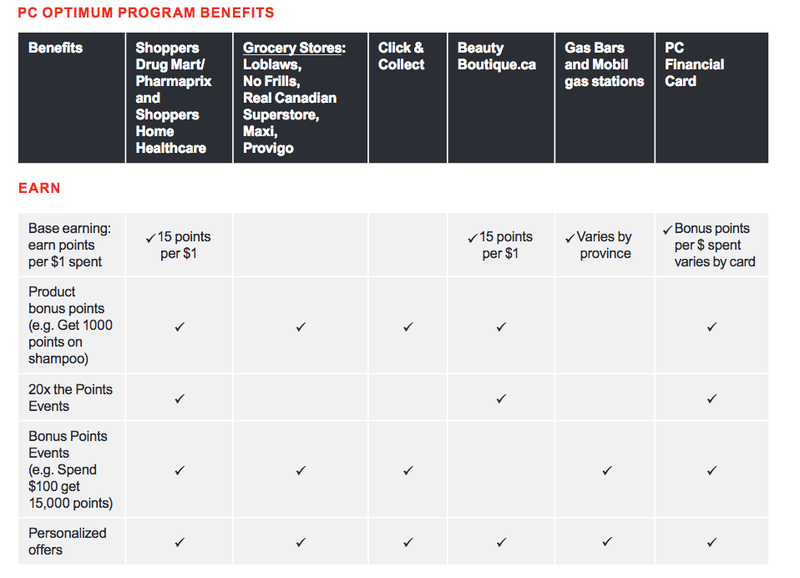 For PC Plus there is no real change other than now being able to earn and redeem at Shoppers Drug Mart and BeautyBoutique.ca. This is a direct comparison however, as the new program will only let you redeem in 10,000 point increments so technically to get to a level like 38,000 you would have to wait to get to 40,000 points for $40 or $2666.67 in spend - which is still better than the $3800 in the old program. Overall this is still good news for members of both programs and good news for our industry as you actually have a program that is getting stronger - and it needs to. 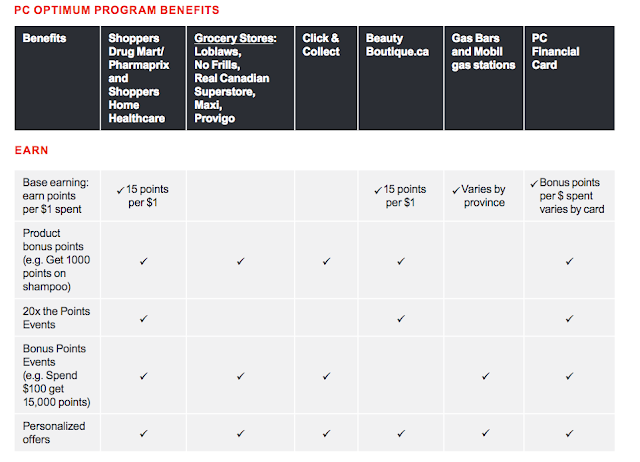 The loyalty space in Canada will get even more competitive in the coming years as we can expect Aeroplan to make a huge push for keeping members and expanding due to them losing their Air Canada partnership in 2020. And other programs won't sit on their laurels - you can expect AIR MILES to ramp up offers and the program in response to Aeroplan and programs like PC Optimum will be keeping an eye on them and responding accordingly. Tells us what you think about today's news in the comments section below!